Outstanding PRICE! EXCLUSIVE GATED BEL FLEUR community. Original owner and immaculately maintained. Wood floors were newly refinished and a lot of fresh paint throughout. 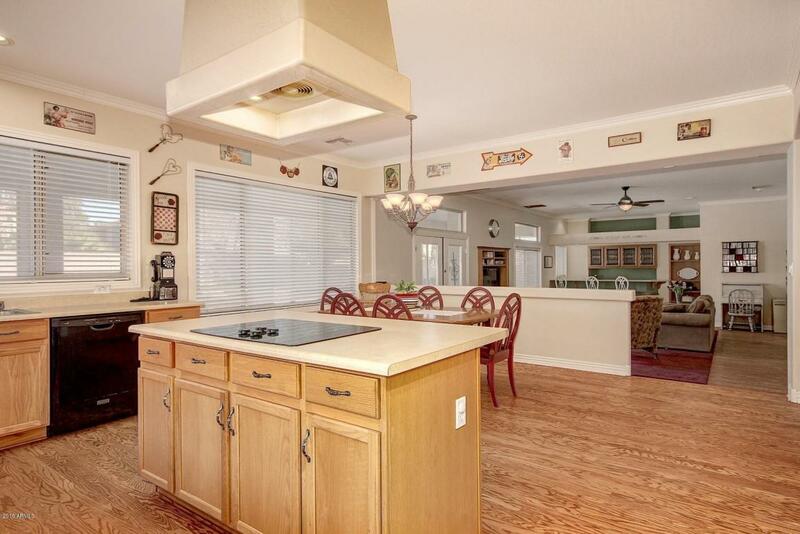 This 5 bedroom 3 1/2 bath home has been loved and just waiting for your family to enjoy. Crown molding throughout the home. Master Ensuite has his and her walk-in closets and 5-piece ensuite. Main floor suite has private bath and built in dresser wardrobe which you'll also find in the other bedrooms. 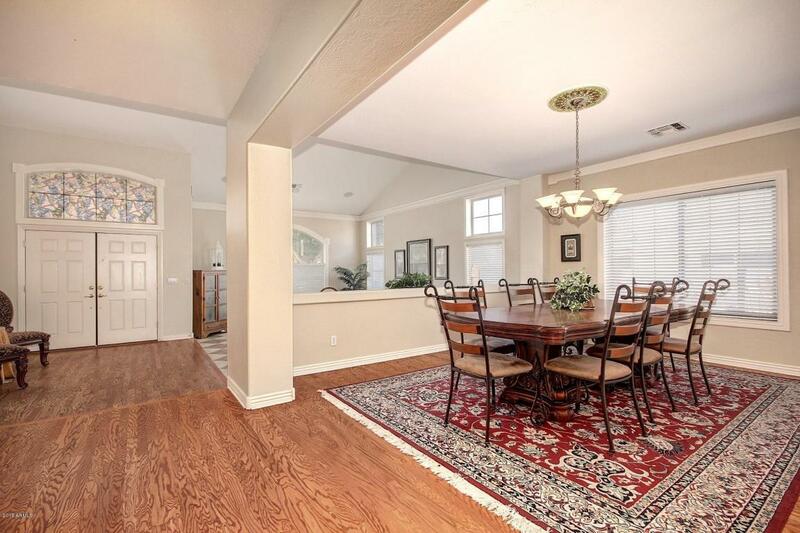 This home is ideal with elegant entrance to the large living and dining room. 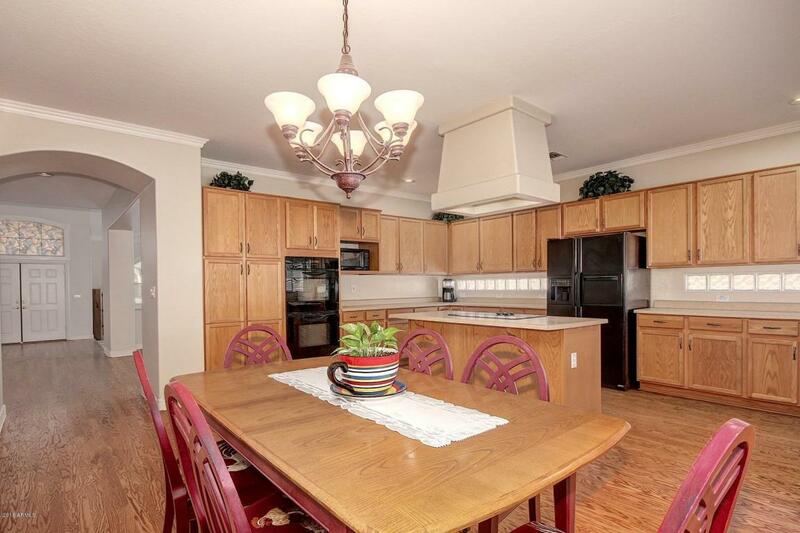 Entertainers delight with the over-sized kitchen opening to the spacious family room with bar. 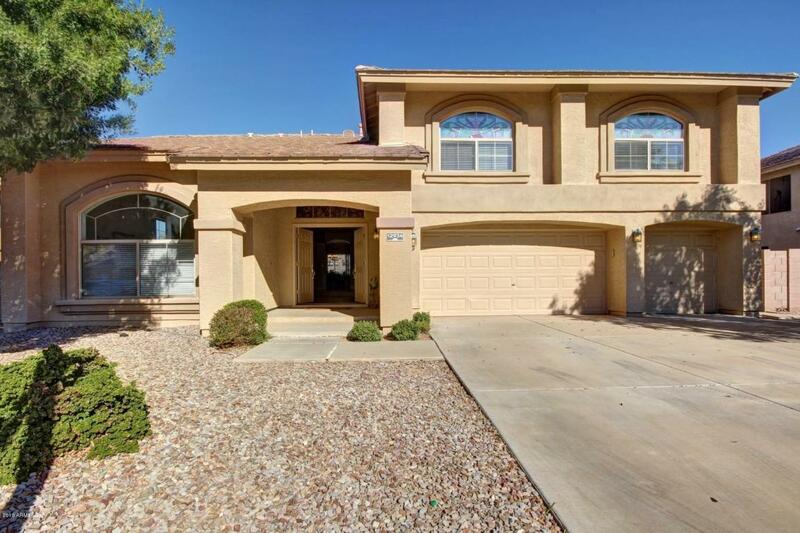 Arizona is about outdoor living and you can't go wrong here with the lap pool, putting green, full length of home screened in porch. On the sideof the home ideally located is the raised garden area. This home is waiting for your family to start creating lasting memories.